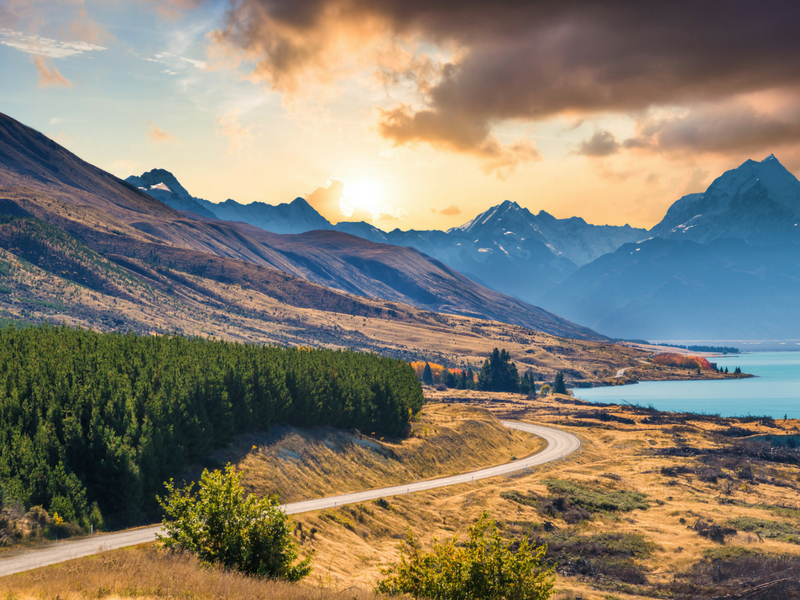 New Zealand’s North Island is very different to its counterpart in the South. 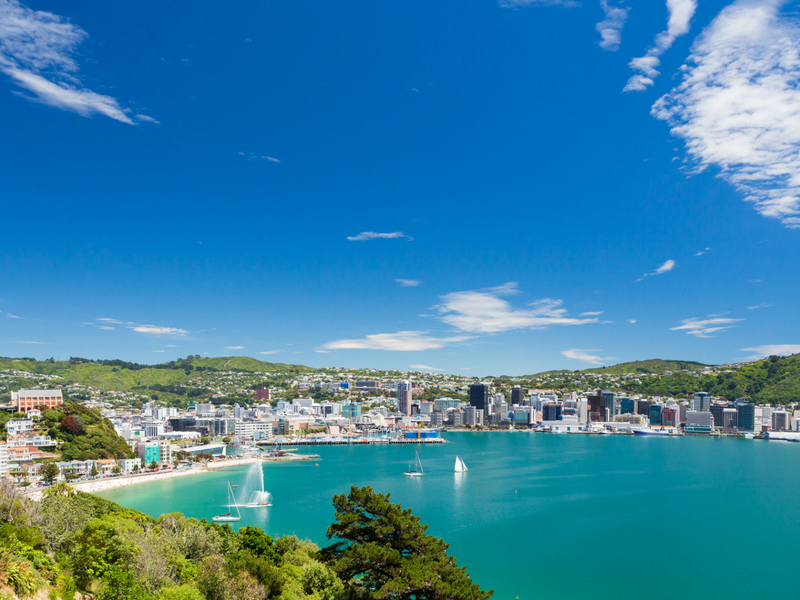 The North Island is known for its volcanic activities, national parks and multicultural cities. The landscapes are different and the roads are bigger but does it still have the magic that the South has? Absolutely yes. It is believed in Māori mythology that the North Island came to be because of the demigod Māui. He was said to be fishing with his four brothers when he caught a big fish. He had difficulty bringing it to the surface so he used his fishhook and caught the North Island upon it. His four brothers were jealous of Māui and although he warned them to leave it be while he appeased the sea god, his brothers could not wait and started carving pieces of the fish for themselves. Today we now know these as the mountains, lakes, rugged coastlines and rivers of the North Island. 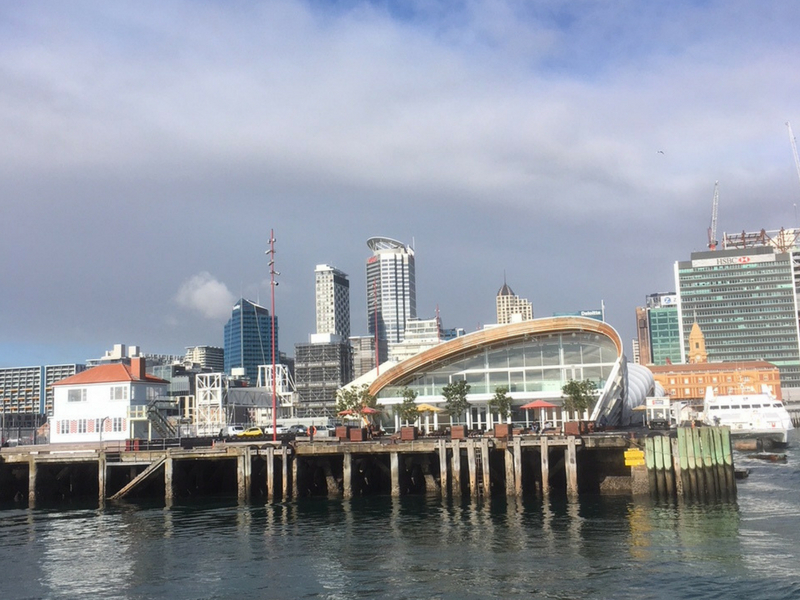 My journey to the North Island started with a ferry across the Cook Strait to the country’s capital city – Wellington. Known for its environmentally friendly transport, large parks, and laid-back attitude, it’s easy to see why Deutsche Bank named it as the best city for quality of life to live in for 2018. You can explore the city with ease, from sandy beaches, inspiring art installations and breath-taking views; you never know what you’ll find around the next corner. 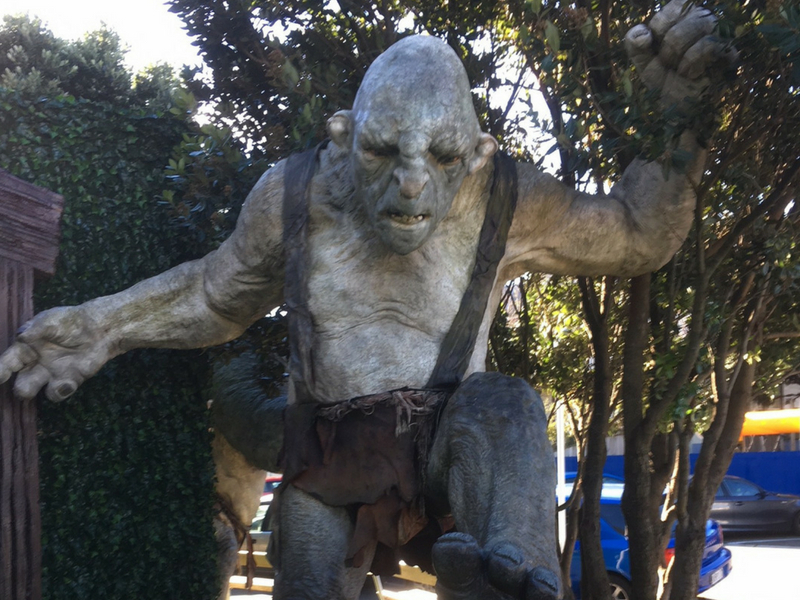 A big part of Wellington is their film industry and the city offers tours to filming locations from Lord of the Rings and the Hobbit as well as tours to Weta – the studio that made them. I was excited as I arrived at Weta as they have an actual life-size troll from the Hobbit at the entrance and even more so when I got the chance to hold Gandalf’s staff from the movies! 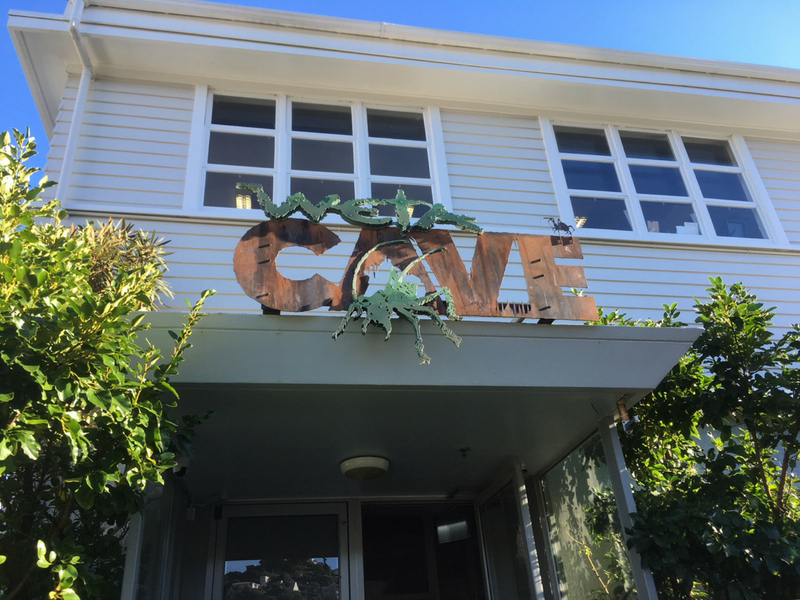 My tour included a 20-minute documentary of the history of Weta, a walk around the workshop where you’ll see props, replica’s and art work from the films they’ve done and a visit to the miniature model stage from the new Thunderbirds TV series. You even get to visit the gift shop – safe to say I left with a few goodies! Unfortunately, you can’t take photos on the tour but that’s part of the magic – you have to experience it for yourself. 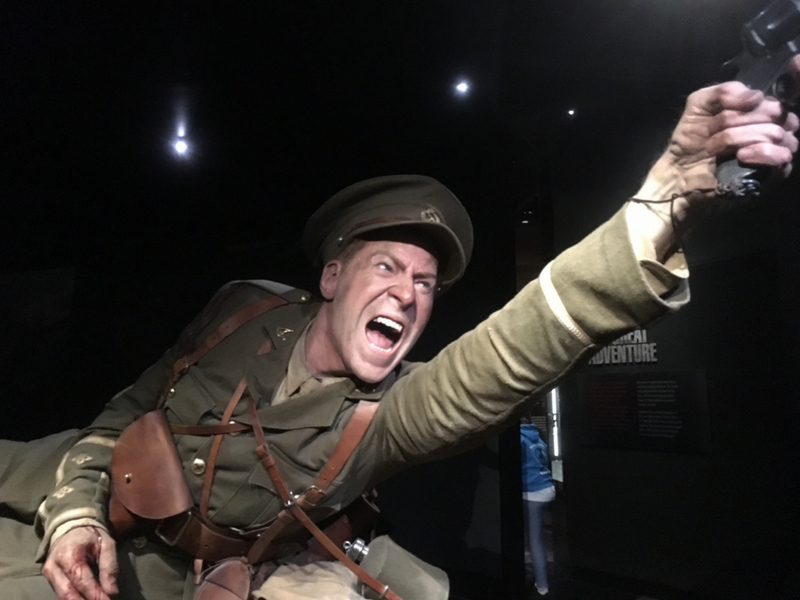 My next activity took me to New Zealand’s national museum – Te Papa where I visited the Gallipoli Exhibition, which Weta worked on too. I spent two hours listening to the stories, interacting with props and walking amongst oversized models, which were scaled to 2.4 times human size with amazing detail. 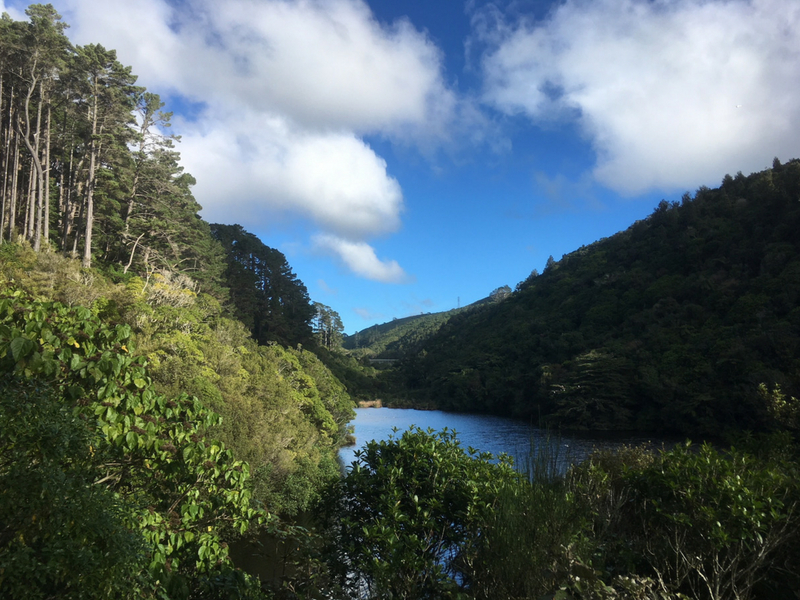 Another must-do in Wellington is Zealandia – a fully fenced urban eco-sanctuary that spans 225 hectares. There are no predators within the sanctuary, which allows native rare species like the tūī, kaka, takahē and little spotted kiwi to live and roam safely. It’s amazing to think that this sanctuary is within one of the biggest cities in New Zealand and is very easy to get to. Take the cable car up to the Botanic Gardens and take the free shuttle; you can even go for a stroll around the Gardens if you miss one. When it comes to food and drink, two areas come to mind; Cuba Street and Courtney Place. Here you have all the bars, restaurants and entertainment you could want. 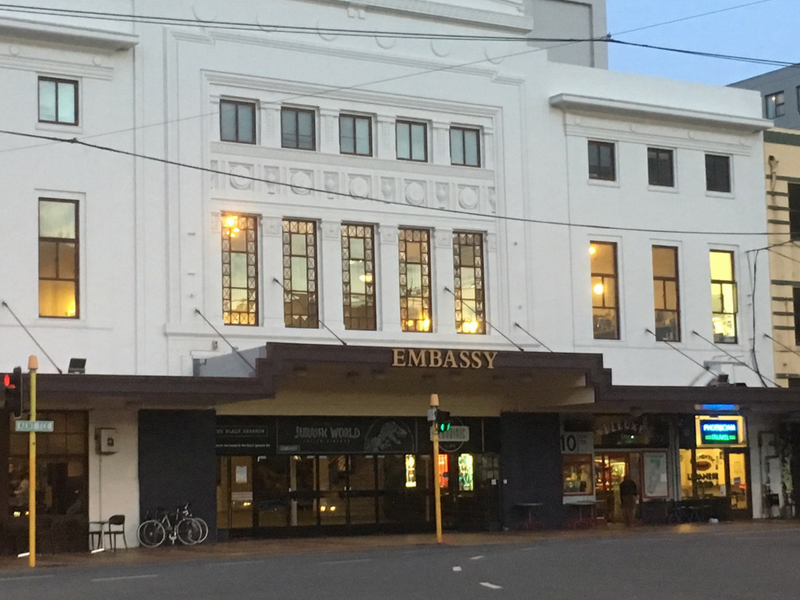 Watch an All Blacks rugby game in the pub, head to the Embassy Theatre (where the Lord of the Rings premiered) for the latest film release or enjoy the weekend night market. 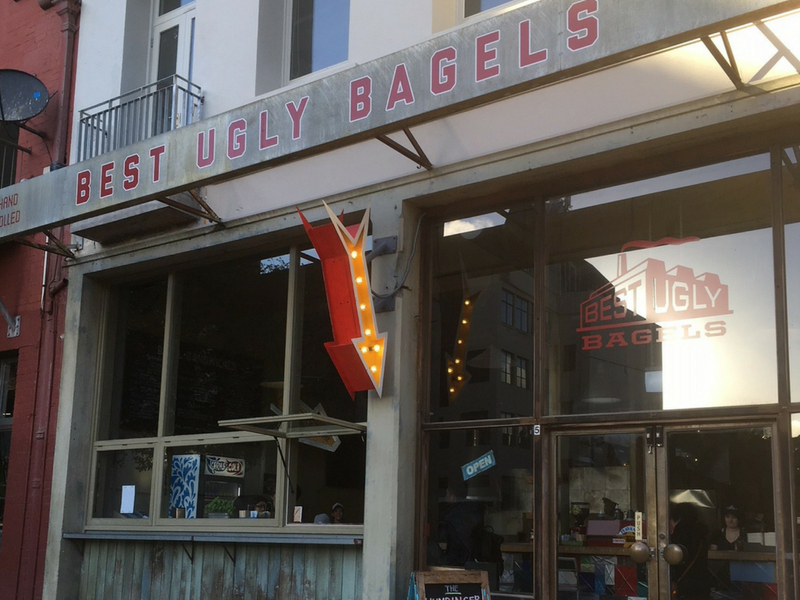 If it’s breakfast you’re after then you must try Best Ugly Bagels just off Cuba Street. These bagels are by far the best I have ever tasted and are affordable, (between $4-$12 a bagel) making breakfast a steal. 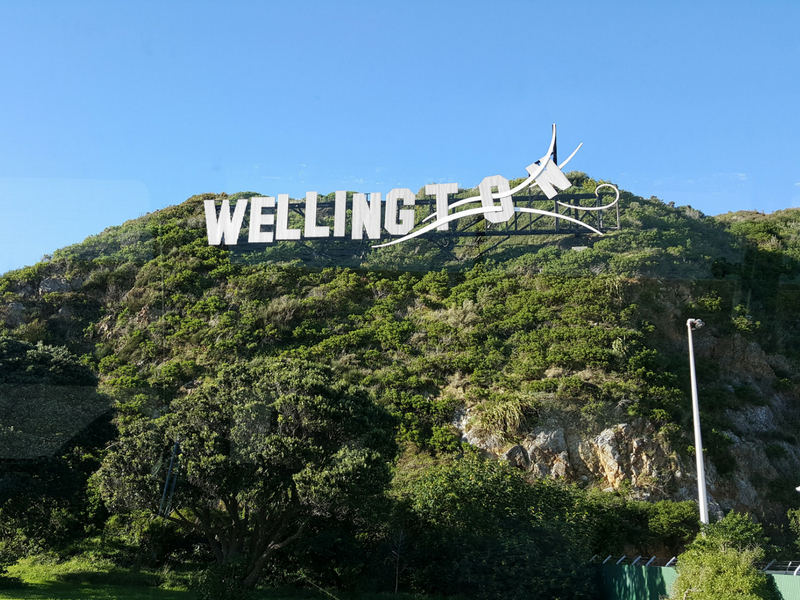 There’s so much to do in Wellington, it’s a shame I didn’t have more time here, however the journey continues north to my next stop Ohakune. This small town is the base for winter sports in the North Island as well as the gateway to the Tongario National Park. 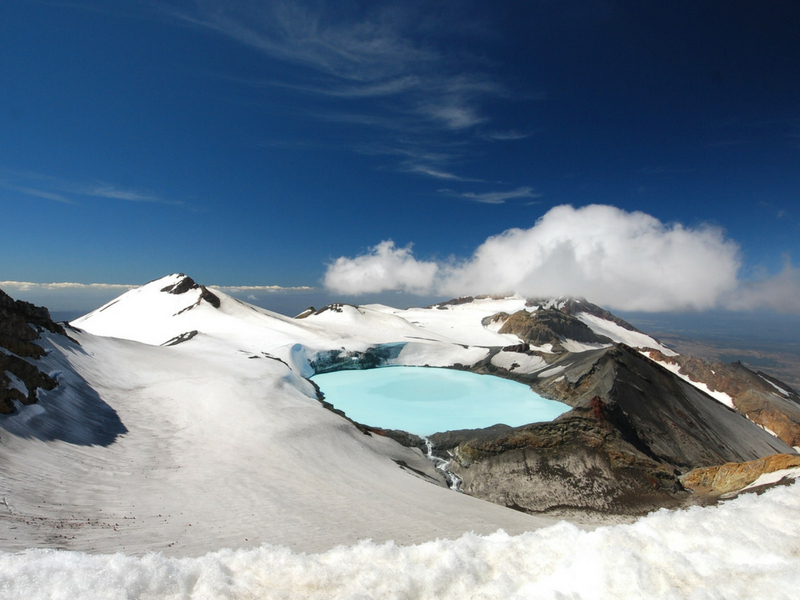 With close proximity to Mount Ruapehu, skiers and snowboarders come from all over to enjoy the ultimate adrenaline rush – skiing on the largest active volcano in New Zealand. With nature on its doorstep, my partner and I were lucky enough to enjoy a short nature walk nearby. 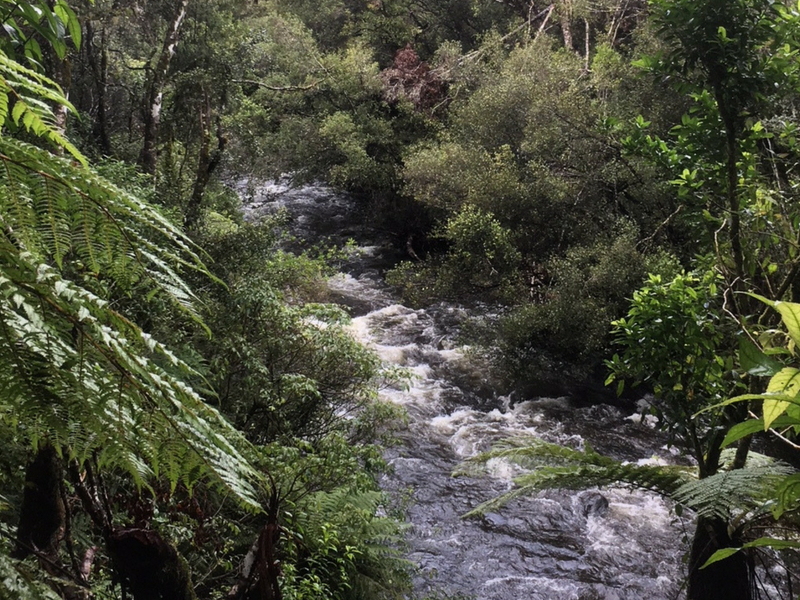 Our route took us through the Mangawhero Forest where trees grow sideways and rapid rivers flow, if you’re stuck for time then this hour walk is well worth it. One of my favourite parts of the holiday was the Hobbiton tour situated just outside the town of Matamata. Tourists come from all over the world for their chance to be part of the Middle Earth experience. 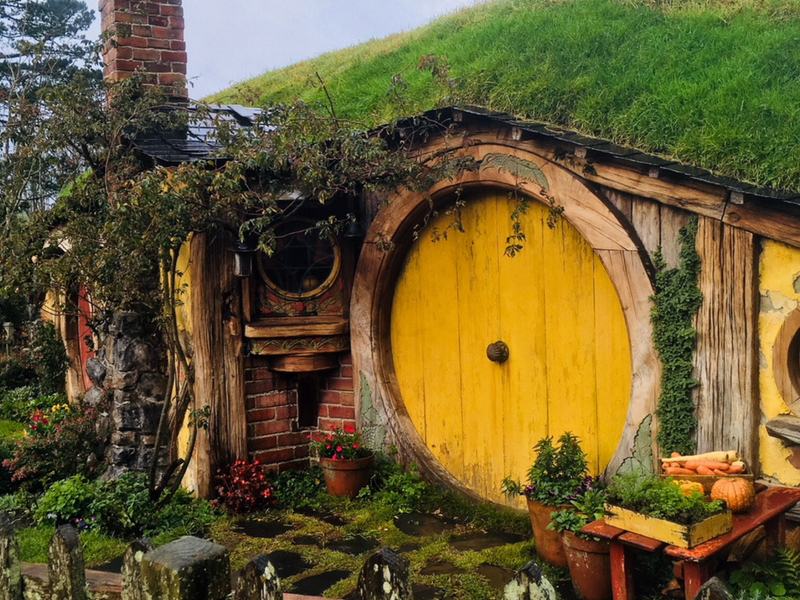 Even in the rain, Hobbiton looked as magnificent as it did in the Lord of the Rings and Hobbit films. 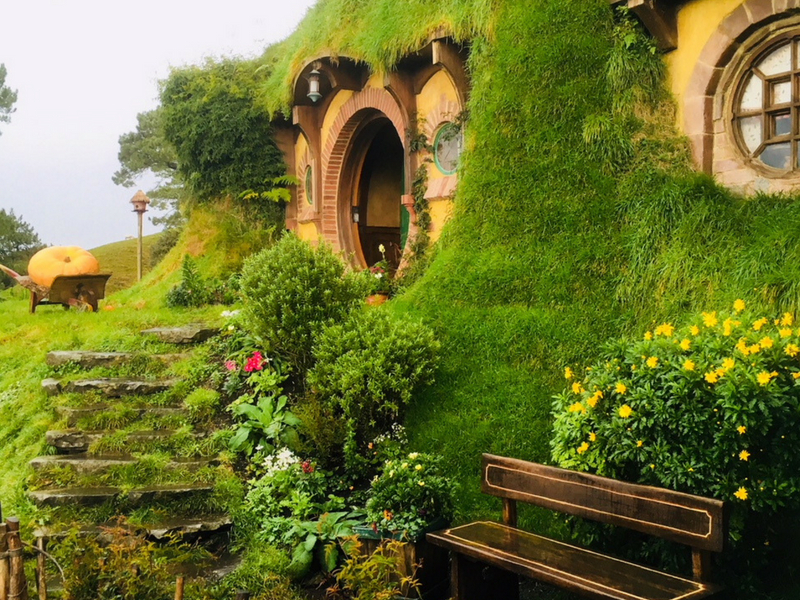 The best moment though was reaching Bilbo’s home (Bag End) and seeing the spectacular views of the party tree, the Hobbit holes and the Green Dragon; you really felt like you were in Middle Earth. If I could have stayed here longer, I would have but the final part of my journey was upon me – Auckland. Known for being the largest city in New Zealand, Auckland feels more like the big cities I was used to with its tall buildings, transport links and vibrant street life except that it has been built on many volcanoes, some of which are still active! With just a few days here to explore, I opted to make the most of my time by taking the city explorer bus tour. There are two loops in the tour – the red and blue tour. 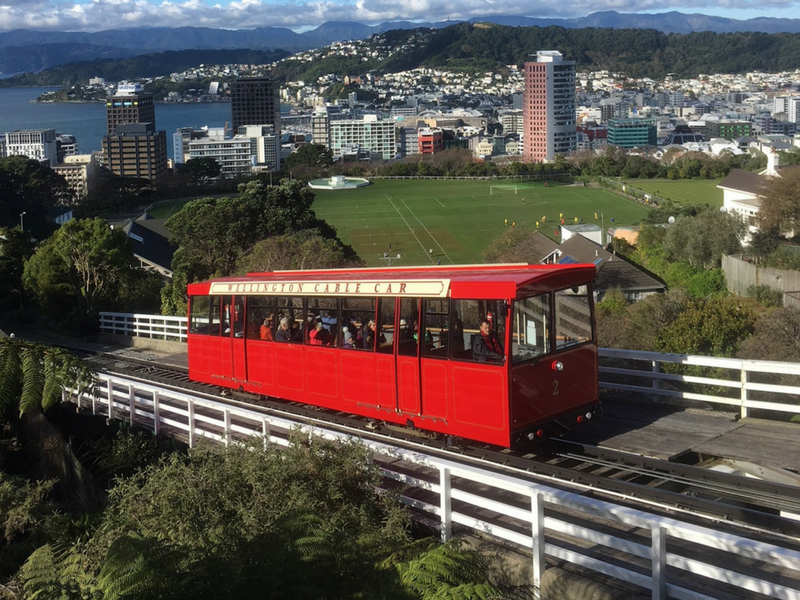 The red tour takes you around the well-known sights like Viaduct Harbour, Bastion Point Lookout, the Sky Tower and Auckland Museum. 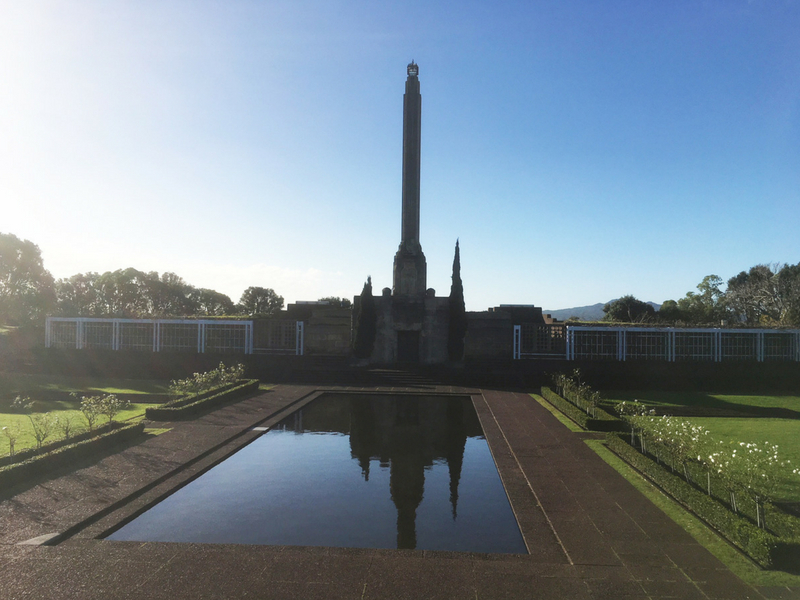 The blue tour takes you to more of the scenic points in the city, from Mount Eden to the Winter gardens. 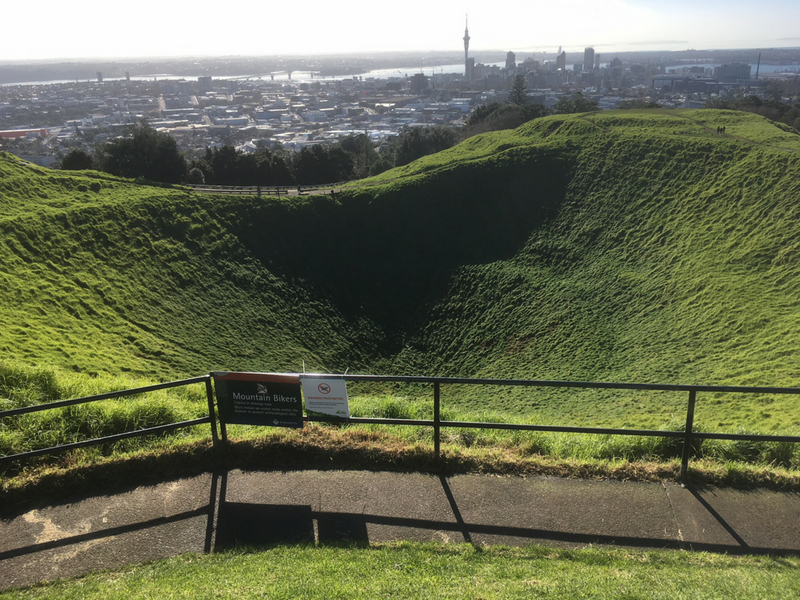 I can highly recommend the climb to the top of Mount Eden – Auckland’s highest volcano. Here you can see 360-degree views of the city including the All Black’s Eden Park stadium. Included in your explorer ticket is the ferry over to the island of Devonport. 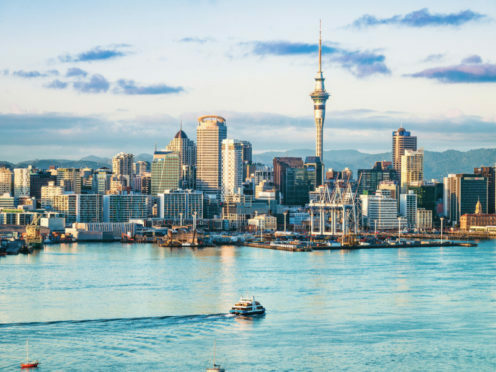 This little suburb of Auckland is just a 12-minute ferry ride and is home to New Zealand’s navy, boutique shops and cafes as well as another of Auckland’s volcanoes – Mount Victoria. For shopping and entertainment in Auckland, Queen Street is the place to be. Here you will find an array of shops including a Great Britain shop that sells Jaffa Cakes and even cans of Irn-Bru! Just off Queen Street, you have a selection of pubs and restaurants but if it’s entertainment you’re after then there’s the IMAX cinema and the Civic theatre all within easy walking distance. 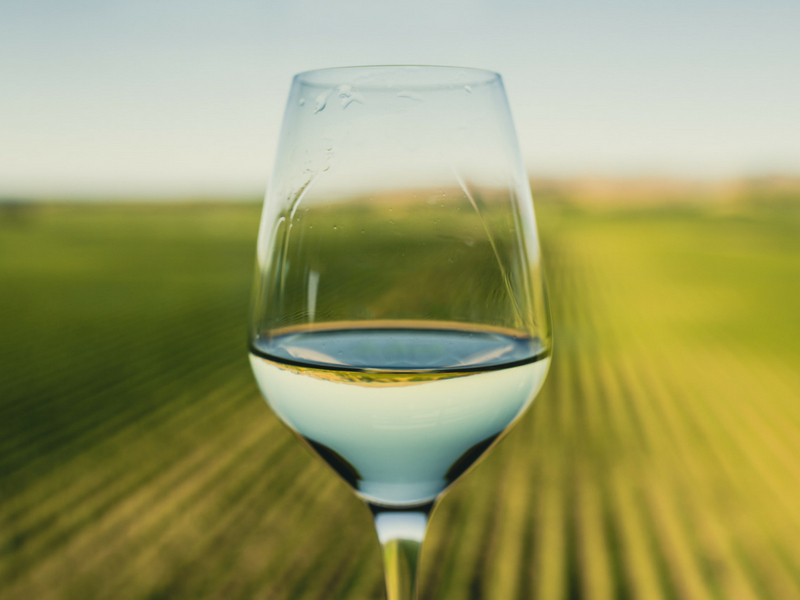 If you are a fan of wine, then a visit to the Villa Maria winery is a must – they even run tours from the airport if you have a few hours wait for your flight. The only issue is making sure you have enough space in your case for the many bottles you’ll want to bring home! Thinking back over my time in New Zealand, I had experienced so much – from bungee jumping, visiting film locations and exploring true wonders of nature, this holiday has certainly created memories that will last a lifetime. That’s the great thing about New Zealand; everywhere you visit is very different from the last. There’s no knowing where you will be swept off to but the adventure and beauty of this mesmerizing country is a treasure worth exploring for yourself.